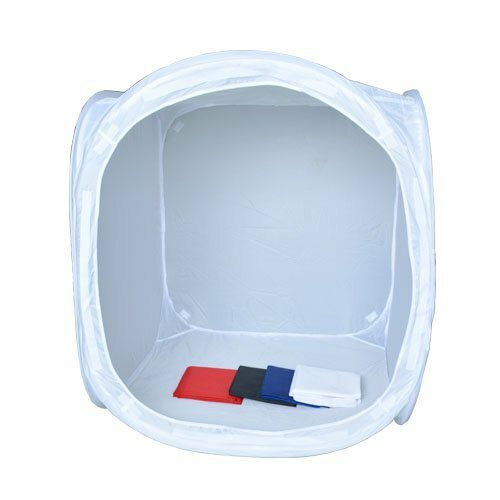 The 32"" x 32"" x 32"" size with large front opening makes taking studio like images simple. Also included is an extra front covering with a lens/camera slit for completely surrounding your subject. In addition, we have included--at no charge--3 extra large colored sheets for internal modeling (Red, Blue, Black and white). The spring like frame enables the unit to be folded down and stored in the included carry case for very easy transport and storage.